To some, the former American Press Institute headquarters on Sunrise Valley Drive is a vacant office building on a nice wooded lot. To others, it is a shining example of Mid-Century modernism and should possibly be included in the National Register of Historic Places. Fairfax County and Commonwealth of Virginia Architecture experts have written to Fairfax County Board of Supervisors Chair Sharon Bulova asking for a last-minute reconsideration of Sekas Homes’ rezoning application for the property. Sekas Homes application will go before the Fairfax County Planning Commission Thursday night. Sekas is looking to rezone the 4.6-acres of land from industrial to residential in order to build 34 townhouses and 10 condominiums at 11690 Sunrise Valley Dr. A county staff report recommends approval of the application. The Brutalist-style building, designed by noted architect Marcel Breuer housed the API from 1974 until API merged with the Newspaper Association of America in 2012. The building has been vacant since. In Sekas’ application, it said there were no known heritage resources on the land. That’s where the architectural experts differ. “The ARB requests that the Planning Commission and Board of Supervisors request and review adaptive reuse studies to answer some fundamental questions about the building’s feasibility of adaptive reuse, so that informed decisions can be made based on professional analysis,” Fairfax County Architectural Review Board Chair Jason D. Sutphin wrote following a meeting on the subject Tuesday. “Further evaluation of resources found to be potentially eligible for inclusion in the National Register of Historic Places should be further evaluated, and if such resources are found to be eligible, mitigation measures should be developed,” he said. 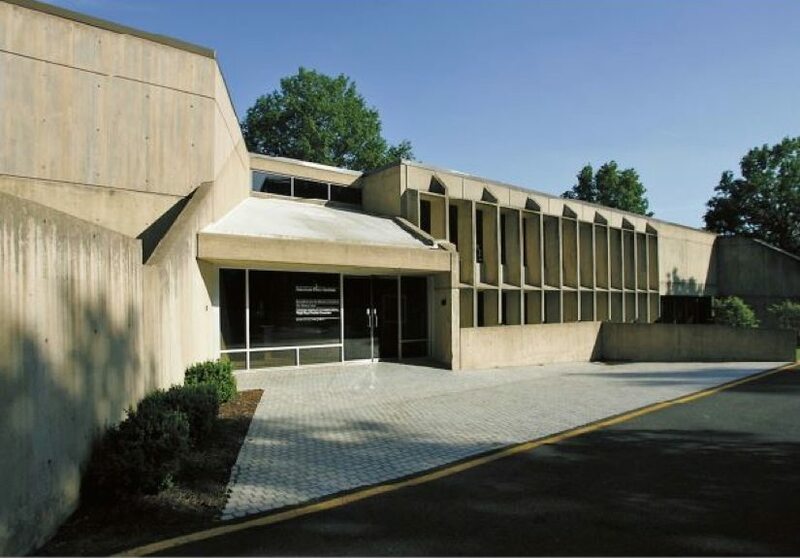 “It is our opinion that the API building reaches the level of exceptional importance as an outstanding example of Brutalist architecture as designed by internationally known architect Marcel Breuer,” David Edwards of the Virginia Department of Historic Resources wrote to Bulova. Edwards recommends the building be renovated for office space or repurposed for residential use. He also says the building has potential for inclusion on the National Register of Historic Places.